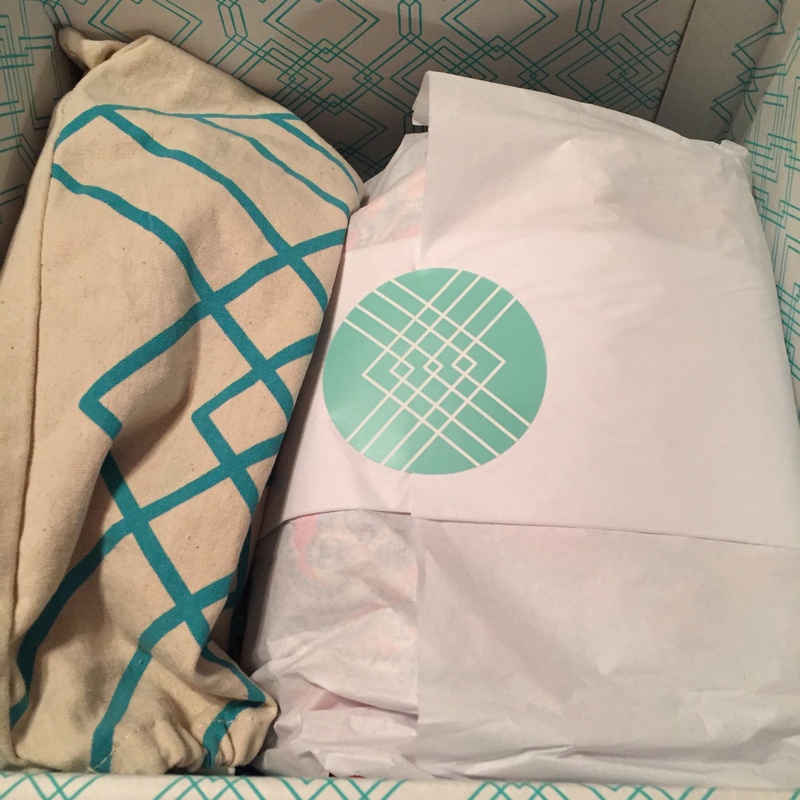 My latest Stitch Fix box arrived the night before I left for Las Vegas. I was extremely busy that night trying to pack and get everything organized, but of course I dropped everything and ripped into that box once it hit my doorstep. 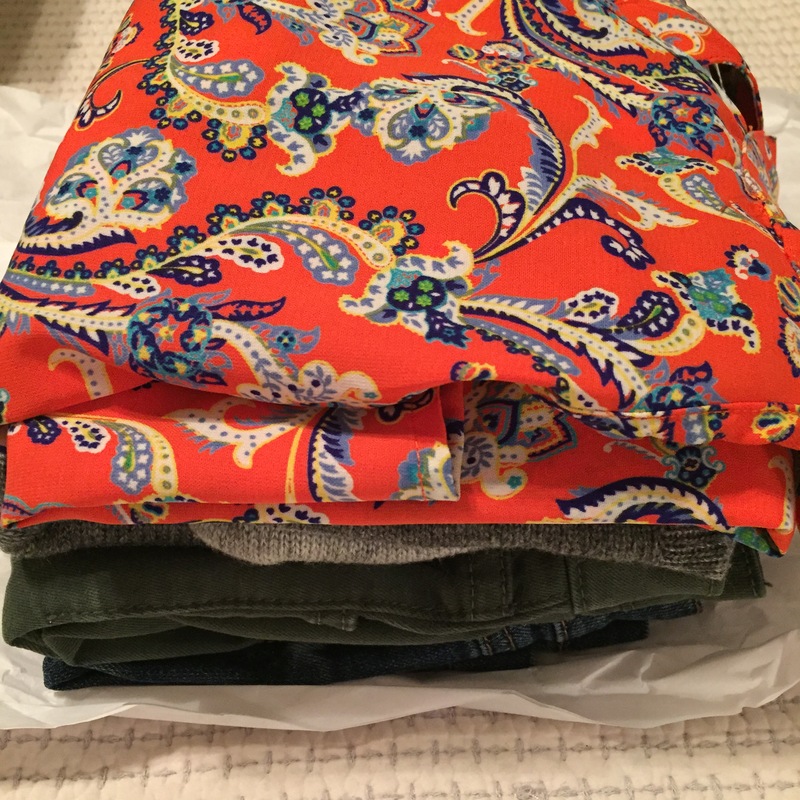 The unboxing revealed a pair of shoes (the tan and blue bag is a dead giveaway) and a soft package of clothes. Ok, let’s talk about the shoes first. 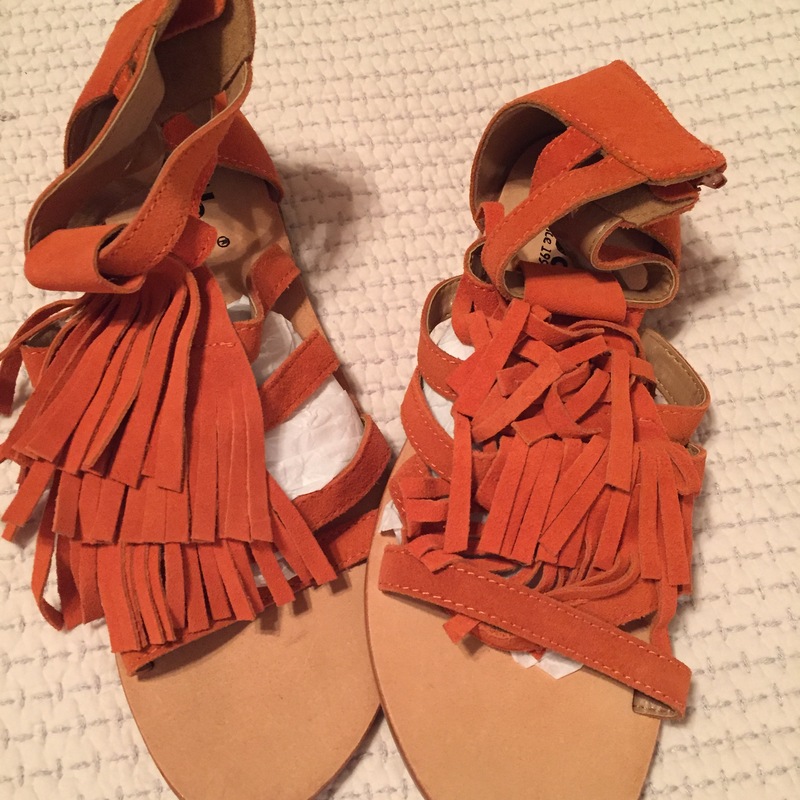 These Diba Tango Fringe sandals were pinned to my Stitch Fix board, so I can see why they were included. Except … I pinned them because I thought they were red. They are not. They’re burnt orange. 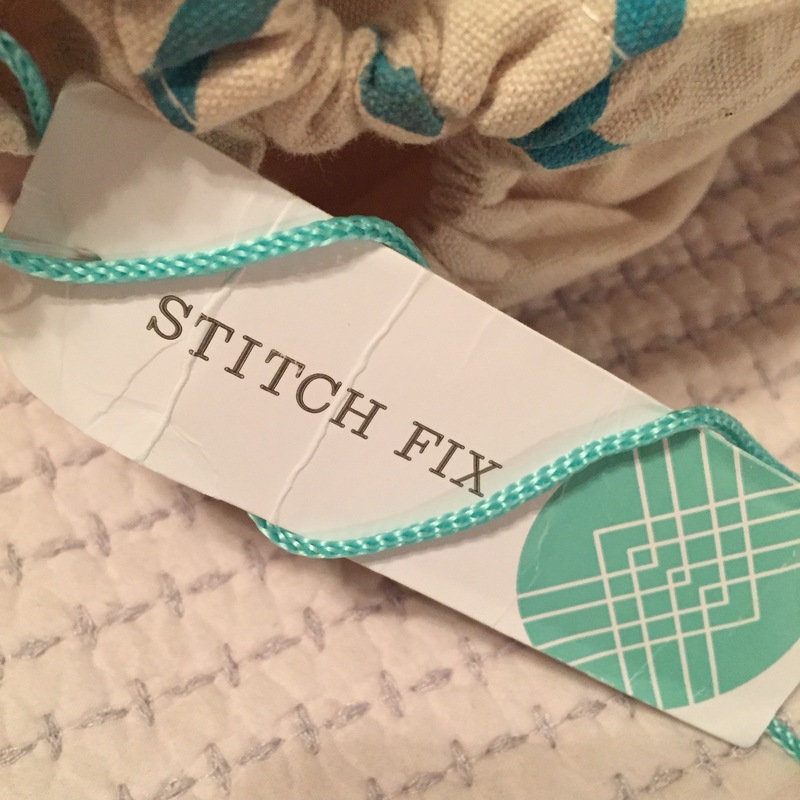 I was also concerned because they seemed like shoes that had been sent out and sent back to Stitch Fix multiple times. The tag was distressed. They were really comfortable when I tried them on. The price to keep was $79, which initially I thought was fair (see below for update). This was a fun, bright orange print. I liked it and overall, it was kind of my style. 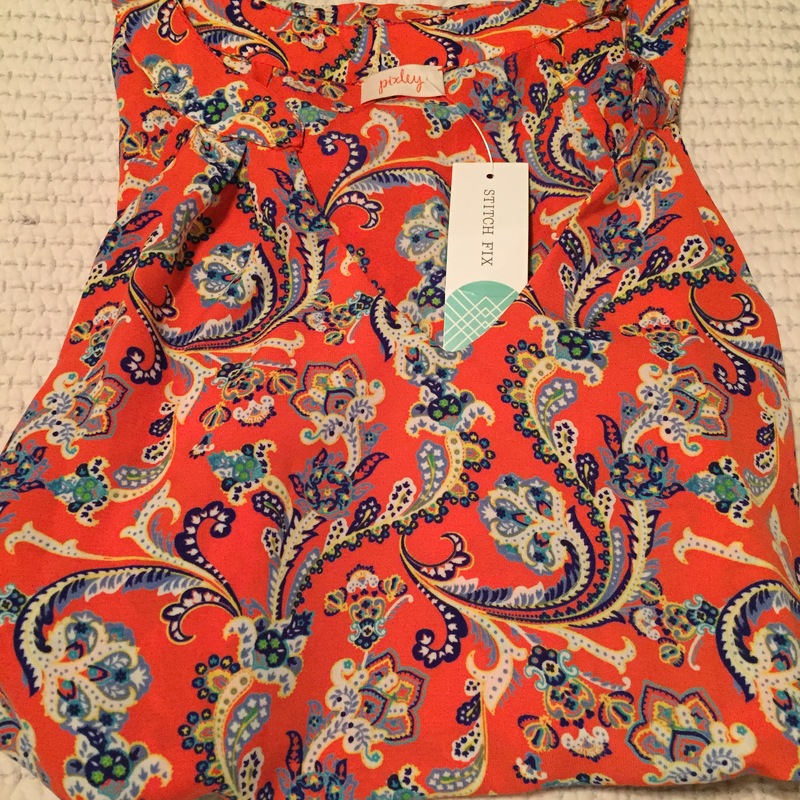 The major issue was that it was way too big; even though it is meant to be a flowy top, it was just too billow-y. 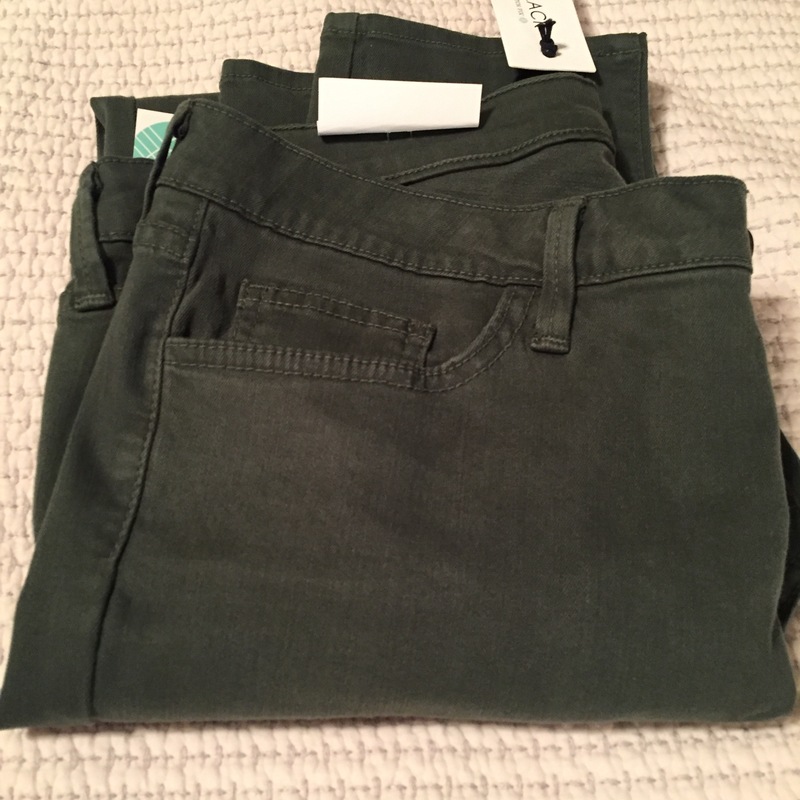 The next item was a pair of Just Black Adorra skinny jeans in olive, a color I am really digging lately. 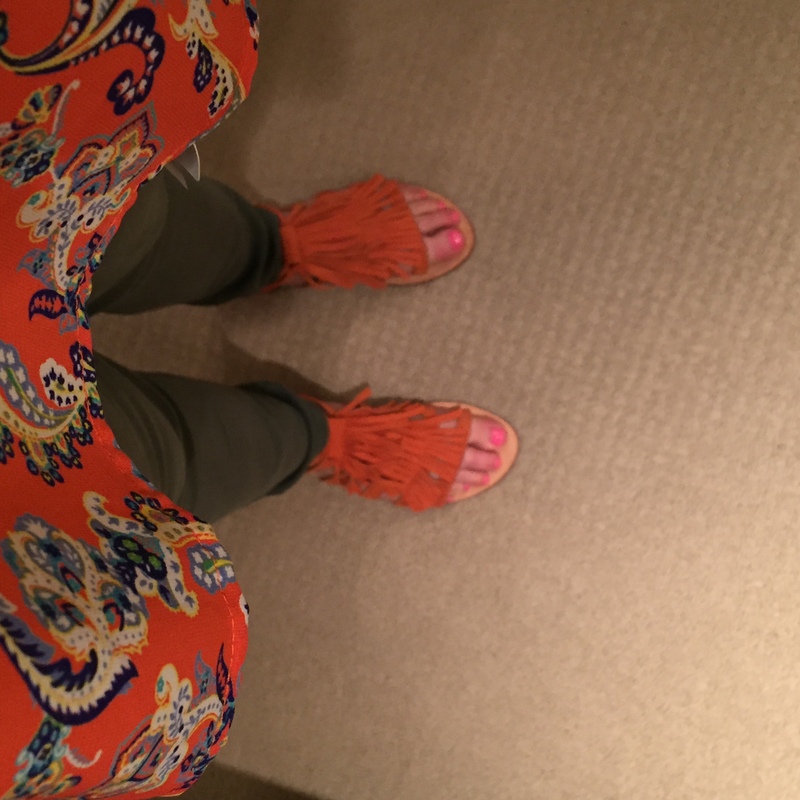 I had mentioned in my styling notes that I am going to Hawaii in a few weeks (true! ), and this was suggested as an outfit. I can get where the stylist was going with this, and for a few moments I contemplated being on board. I hated these. They looked like Mom Jeans. Yuck. Ok, I am a sucker for gray sweaters. I own an embarrassing number of them, but I wear them. All the time. This was love at first sight. 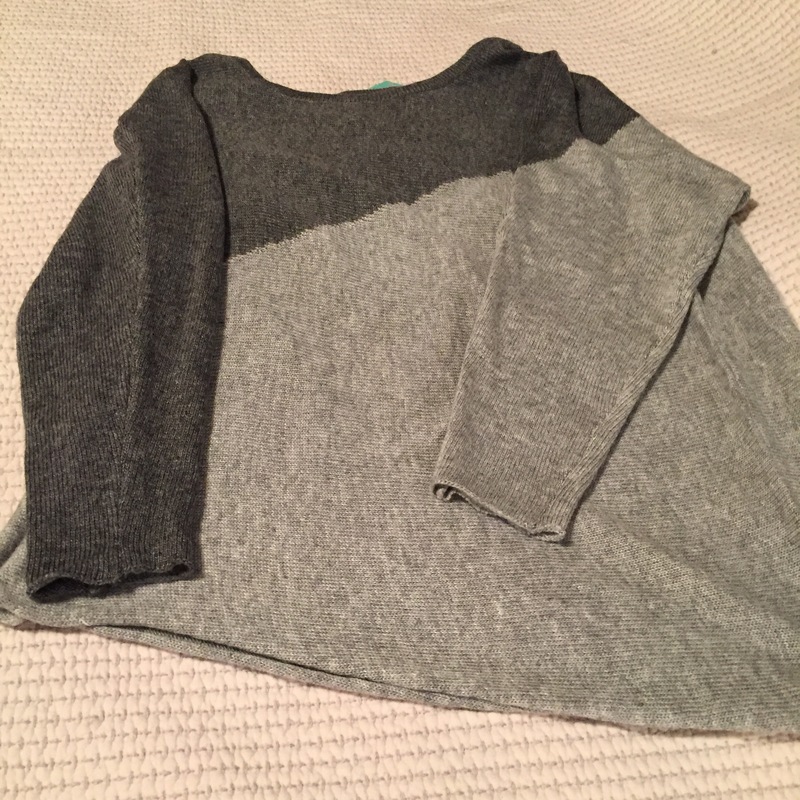 At this point, Stitch Fix math started to kick in. What if I kept it all? At $233, it wasn’t a bad tally. The sandals were a different color than I expected, but they were comfortable. I liked the orange top and debated wearing it with a tank underneath. I already knew I wanted the olive jeans and the sweater. In the end, it was the shorts that were the deciding factor. I really hated those shorts. 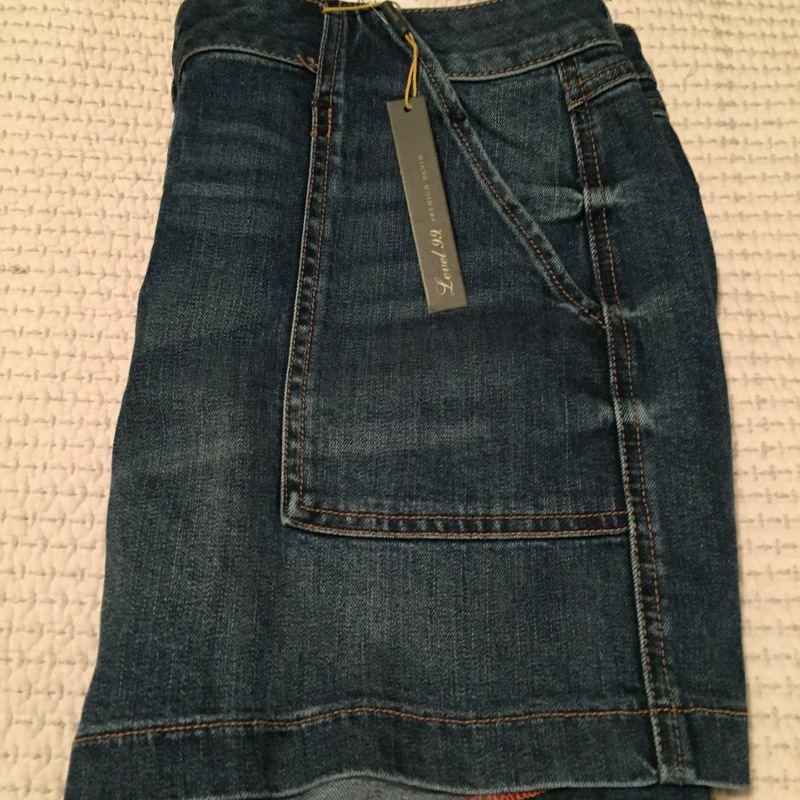 Once I decided to send back the shorts, I realized that the top did not fit and needed to go. The sandals started to seem less fun now that I was sending half of the Fix back, and I decided to toss them into the return envelope, too. As I was researching this post, I discovered that they were on sale for $19.99 at multiple sites, including Sears. This completely confirmed that I’d made the right decision. Overall, I liked this Fix. The shorts were a swing and a miss, but everything else was a reasonable pick and I’m happy with the two items I kept.